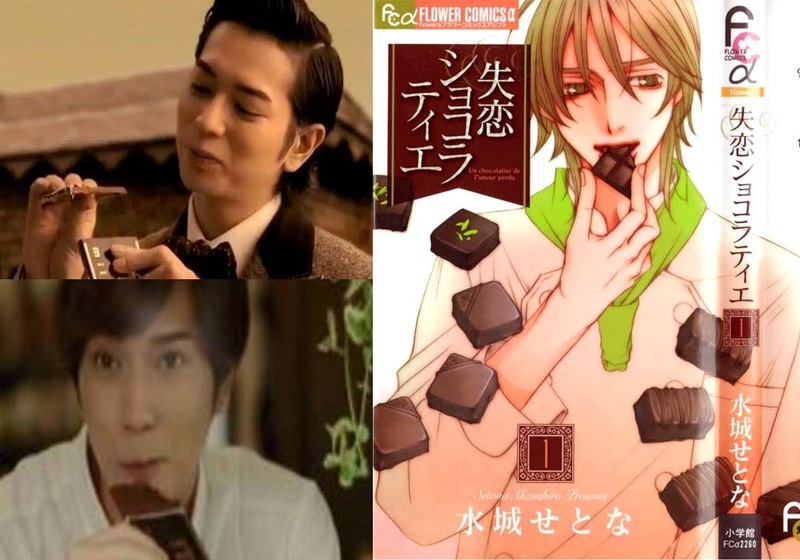 Matsumoto Jun has new drama called Shitsuren Chocolatier that will be airing in January next year. This drama based on a manga with same title. Synopsis: Koyurugi Sota (Matsumoto Jun) who attends a confectionary school fell in love at first sight with his senior Saeko during high school days. Like a wish come true, he is in a relationship with her now. After a lot of effort, they started dating right before Christmas. However, Saeko says she cannot meet Sota on the very day of Valentine’s Day which they should have commemorated together. He manages to see her the day before, but she will not accept the chocolates he has made for her with all his heart, knowing that she loves them. In addition, he is even told that she did not intend to date him. However, the single-minded Sota is not discouraged and resolves to make Saeko pay attention to him again through her love of chocolates. He goes over to France alone to train and becomes a top chocolatier with the nickname Chocolate Prince.